Speaking at a business breakfast at the University of Cape Town Graduate School of Business during Fairtrade Week, Ralph Hamann, an associate professor at the school, said that the growth of Fairtrade and other initiatives such as Woolworths’ Farming for the Future drive are indicative of a growing realisation that social and environmental threats to business won't go away unless business itself does something about them. “This is a positive trend, which shows that South African businesses are thinking more innovatively about CSR (corporate social investment) and their role in building a better future,” said Hamann. Fairtrade, which seeks to promote a more equitable and sustainable farming sector, is the leading ethical certification in the world and has more than 1.2-million beneficiaries (farmers and farmworkers) in 66 countries. 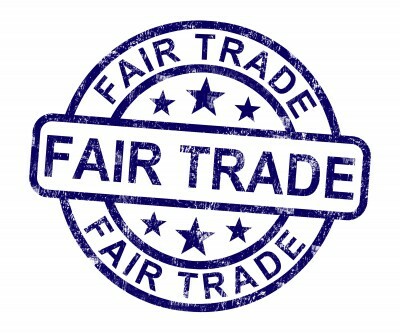 There are more than 30 Fairtrade brands in South Africa. The country is the biggest producer of Fairtrade wine in the world and also the first in the Fairtrade movement which both produces and markets products – mostly grown in emerging economies and then sold in the developed world. Hamann said that recent painful events such as Marikana have contributed to growing awareness locally that a wider perspective on social and environmental issues is inescapable if business is to continue to prosper. Hamann said that historically there is a disconnect between core strategy, and CSR outreach has prevented corporates from thinking more broadly about these issues. He cited, as an example, a micro-financing organisation that focuses on paper recycling and sponsoring bursaries, but which is not prepared to engage with social issues around ethical lending. Hamann called this a form of myopia because many business leaders prefer to focus on their day job and their shareholders, and don’t really take a longer term view. They don’t look spatially beyond the boundaries of their operations. “This means that they struggle to identify tipping points along their value chains that may change the conditions for stockholders and their business,” he said. Hamann said that the complexity of social conditions in the country overwhelm many organisations and prevent them from thinking more innovatively about their context. “But recent events and growing environmental constraints are making it harder for businesses to look the other way,” he said. Some additional evidence of this shift includes more emphasis on ideas of shared value, greater representation of CSR at executive and board level, and the strategic integration of social and environmental issues into the core strategy of the business. South Africa is also the first country in the world to make integrated reporting a legal requirement for listed companies. However, Hamann said, there is still a fair way to go, specifically in the region of collaboration. “While competition is a vital motivating force for business, it can also stifle much-needed collaboration to address complex social and environmental challenges. The informal settlements around mines, for example, can’t be addressed by a Unilever or an Anglo acting by itself.